On Tuesday one and a half million people gathered in Barcelona, the Catalan capital, to demand independence from Spain. Catalonia is one of Spain’s wealthiest regions and recent austerity measures in the country have led to increasing calls from Catalonian citizens for a system of financial autonomy similar to the Basque region, which would mean separate taxation and a degree of self-government. Earlier in the week Spanish premier Mariano Rajoy rejected bailout conditions offered by the European Central Bank. Germany’s constitutional court has found that the backing Angela Merkel’s government gave last year to a permanent €500bn Euro bailout fund (the European Stability Mechanism) is legal and does not breach Germany’s constitution. The ruling states that Germany’s contribution should be capped at €190bn and that the Bundestag has to approve all uses of the ESM. The Dutch elections, seen as a bellwether for cross-European sentiment, were expected to result in an increasingly Eurosceptic government. However, exit polls and the 95%+ votes counted show that voters have overwhelmingly backed the pro-European VVD and Labour parties. The Freedom Party of Geert Wilders, which campaigned on an anti-Islam and anti-immigration platform and called for the Netherlands to leave the EU, has lost almost half of its seats. The BBC reports that the two leading parties have enough seats for a workable coalition, but would have to reconcile different views on the way out of the Netherlands’ deficit. The result bodes well for Germany’s stance on fiscal discipline in the Eurozone. Commission President Jose Manuel Barroso called for a “federation of nation states” in his annual state of the union speech, stating that the move was necessary to combat the economic crisis. It would entail a closer knit economic and monetary union, political union and a harmonised defence policy. The Commission intends to present a plan for a new EU treaty before the 2014 vote, and the election campaign will be used to debate the future of the new bloc. The European Parliament is back in session and has approved an energy efficiency directive. The measures set out include the requirement for Member States to renovate 3% of the total floor area of “heated and/or cooled buildings owned and occupied by their central government”, energy saving plans for utility companies, and energy audits for large enterprises. In other EP news the Opinion of the Advocate General in France v Parliament (C-237/11 and C-238/11) has been handed down, and recommends that the Court annul the decision of the European Parliament concerning the calendar of parliamentary sessions for 2012 and 2013. The amendments reduced the amount of parliamentary time in October and France brought an action to annul the decision, stating that splitting the plenary sessions did not mean they could be classed as individual sessions in order to meet requirements. Italian campaigners have petitioned France to give Leonardo Da Vinci’s famous painting Mona Lisa to its “home city” of Florence. Their claim is based on the theory that Da Vinci started the portrait of Lisa del Giocondo in Florence in 1503, but art historians think he then took the painting with him when he moved to France in 1516, where the French royal family acquired it. 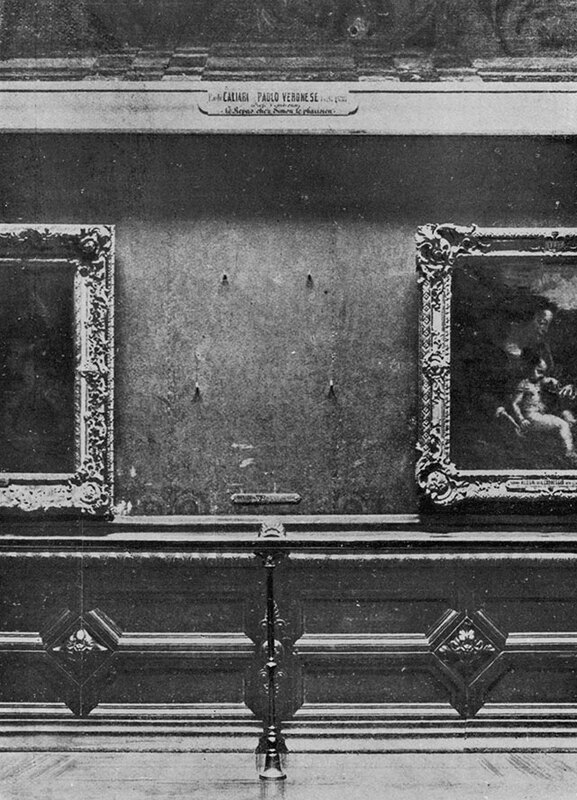 The Mona Lisa was briefly displayed in Florence after it was stolen by an Italian Louvre employee in 1911.